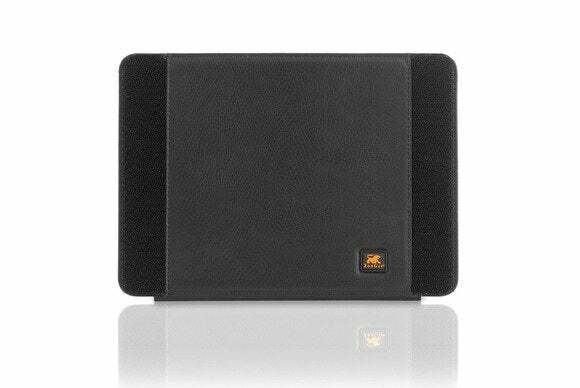 Need a little extra room for your things while you’re on the road? Fear not, for this week’s round up of new iPad cases offers abundant choice of alternative storage solutions for your favorite tablet. Need a little extra room for your things while you’re on the road? 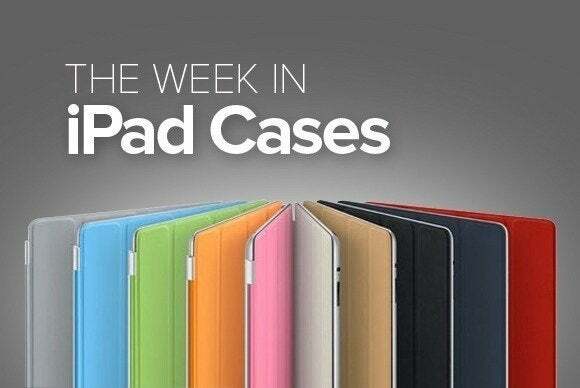 Fear not, for this week’s roundup of new iPad cases offers abundant choice of alternative storage solutions for your favorite tablet. Well, your old favorite tablet—at least until your new iPad Air 2 or iPad mini 3 arrives. 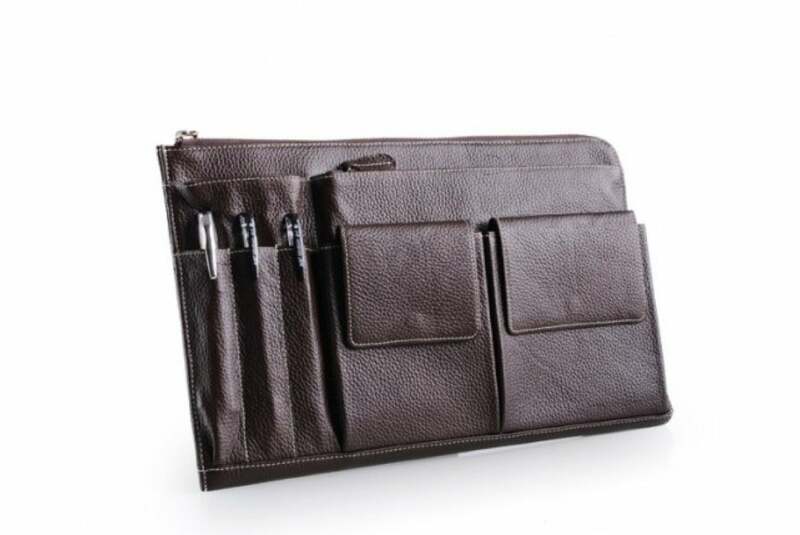 The Leather Case (all iPad models; $138) stylishly protects your tablet while providing extra room for everything you need on the go. Made of full-grain cowhide leather, the case sports two zipped pockets for a small laptop and your iPad, three pen loops, two side pockets with cover, and a back pocket for your papers. 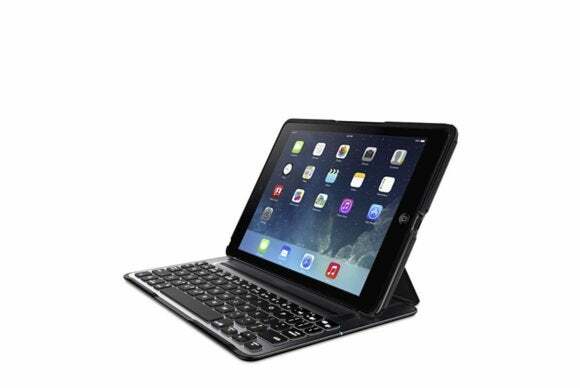 The QODE Ultimate Pro (iPad Air; $150) adds the functionality of a Bluetooth keyboard to your tablet while preventing damage from accidental drops. Made of thin and lightweight aluminum alloy, the case doubles as a viewing and typing stand in portrait and landscape orientation, offers easy access to all ports and buttons, and sports rubber feet to safeguard the screen. The detachable keyboard can be paired with up two devices, and its battery lasts up to one year. 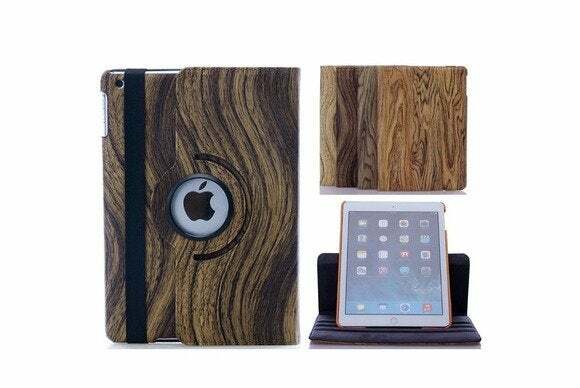 The Fashion Wood Pattern (iPad Air; $11) keeps your tablet safe from daily hazards while adorning it with a stylish wooden pattern. Compact and elegant, the case doubles as a viewing stand in landscape and portrait orientation, provides full access to all your iPad’s ports and buttons, and promotes optimal signal reception. The Smart Cover (iPad Air; $39) uses a combination of leather and wood together with a unique design to protect your tablet and keep it looking great. 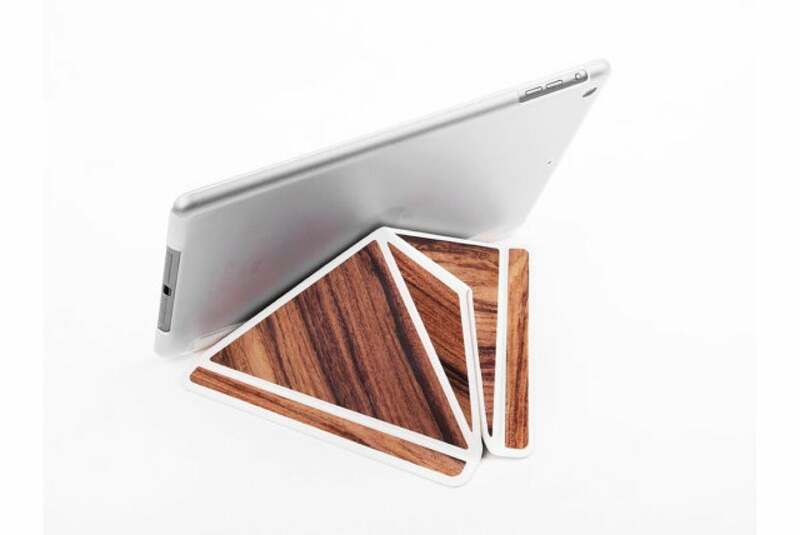 Handmade with quality materials, this peculiar case is compatible with the iPad Air’s magnetic sleep/wake features, doubles as a viewing stand in landscape orientation, and can even be used while taking pictures without needing to be removed. 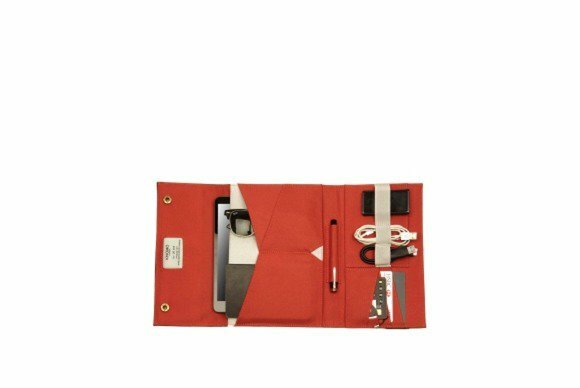 The Knomad Mini Portable Organiser (all iPad minis; $60) is a comprehensive storage solution for your electronics and other daily necessities. 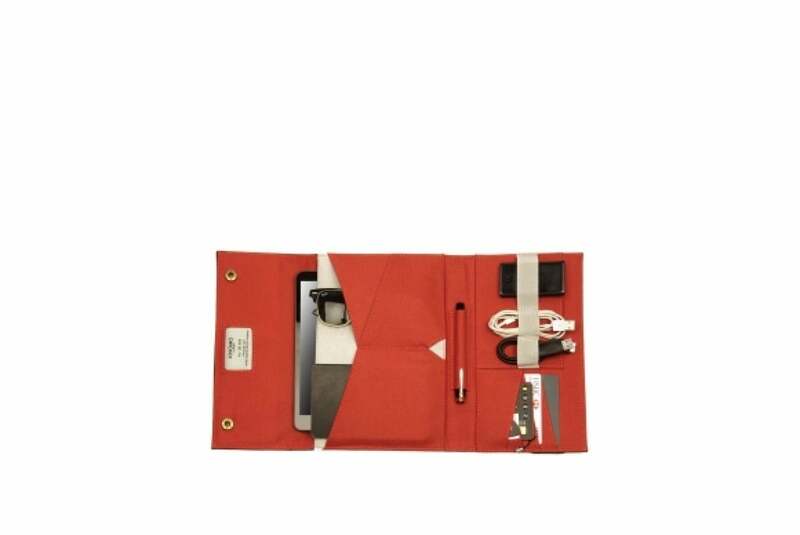 Made of coated cotton canvas, brass hardware, and raw-edge leather, the case, available in black or sand, includes pockets for your credit and ID cards, a protective microfiber back compartment for your tablet, and an elastic holder for your Lighting cable and other accessories. 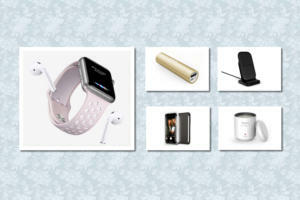 The Stylish Silicone (iPad Air; $6) offers a one piece design with two layers of protection against everyday accidents. Made of silicone and plastic, the case features precise cutouts to access all your ports and buttons, doubles as a viewing stand in landscape orientation, and comes in rose, white, blue, red, dark blue, army green, yellow, or black. 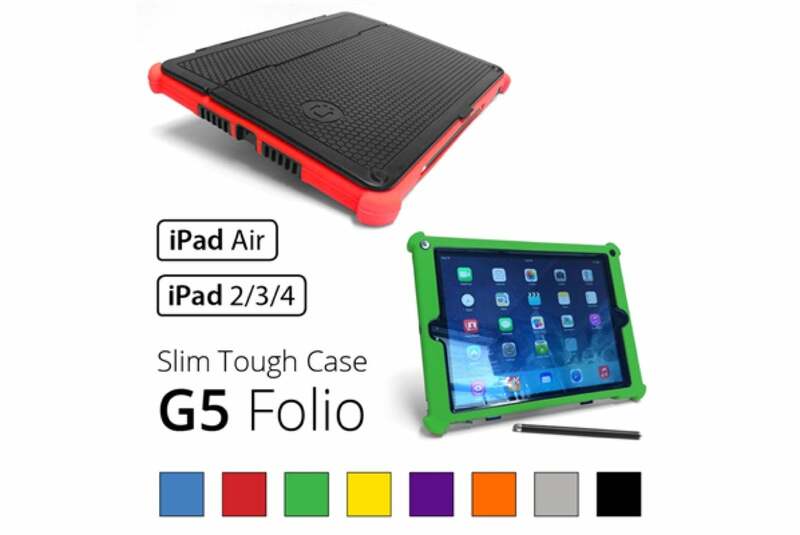 The Slim Tough G5 (iPad 2, 3, 4, and Air; $69) features an “armor plate” folio cover that helps to significantly reduce the likelihood of damage to your screen. Available in black, blue, red, green, yellow, purple, orange, or gray, the case includes a stylus with built-in holder, doubles as viewing stand in landscape orientation, and is compatible with the iPad Air’s magnetic sleep/wake feature. As a bonus, its kickstand also turns into a handle for holding the tablet with one hand. The Leather Case Genius Pro (iPad Air; $50) features an adjustable strap that allows you to mount your tablet onto your car’s headrest or any other suitable surface. Made of leather and microfiber material, the case is compatible with the iPad Air’s magnetic sleep/wake feature, includes extended edges for additional protection, and doubles as a viewing stand in landscape orientation, with support for multiple viewing angles.